This weekend looked perfect for middle of the day Luderick. The forecast was good, neap tides with a high of 1.3m at 1pm, light breezes and clear skies. Bait was the only possible problem, so I messaged Royce, a fellow Luderick tragic and all round good guy. He fixed me up with some nice green weed, so, all good. I planned to meet Tham at one of his spots in Botany Bay. He made a quick run to the coast to get a bit of cabbage, so we were in brilliant shape, two types of bait and enough for burley. 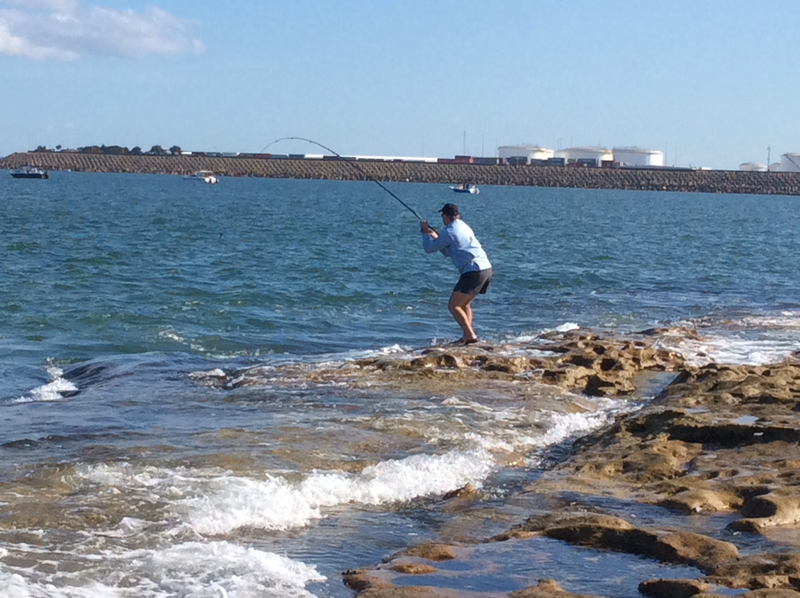 We met up at 10:30 only to find the best spots taken by some bottom bashers, so we fished a different spot. The water looked good, a little bit of swell causing nice white water and plenty of turbulence. It wasn't long before Tham hooked up the first of the day. A small fish, but a start. He ended up with 7 or 8 and this was one of the smallest. 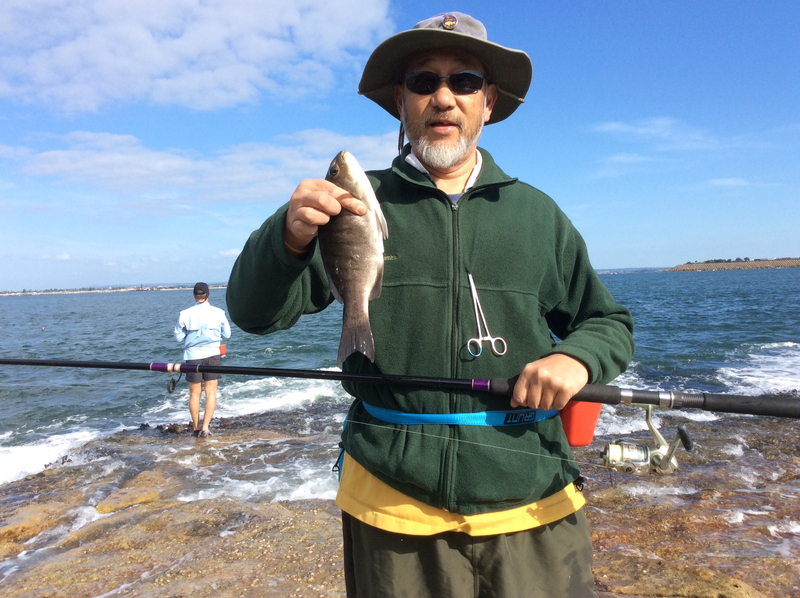 Most fish were mid to late thirties. 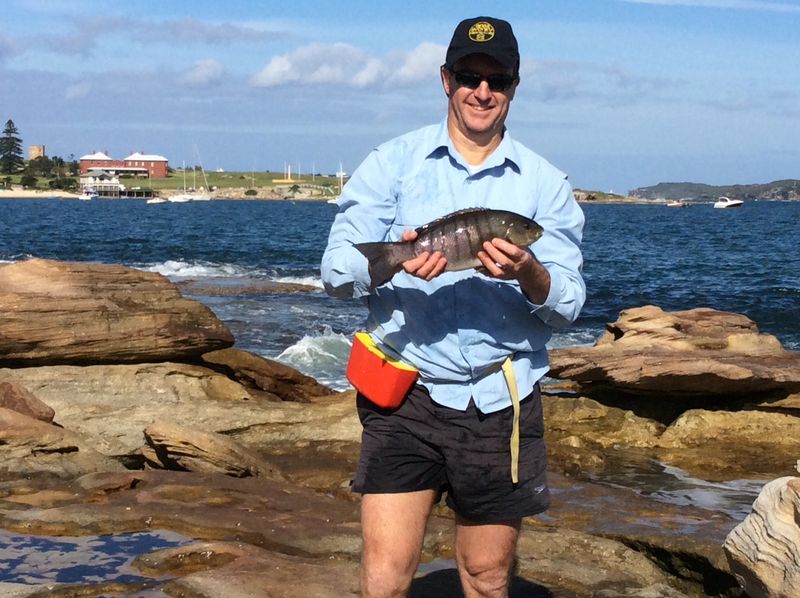 I also caught a small one, which I released and then a couple of really decent fish. There were some really solid fish mixed in with them and between us we ended up with a really good bag of mixed size fish. It really was a great day out. Rory was chief burleyer and fish netter, and bought lunch, 1/2 a dozen crispy creams from the airport. 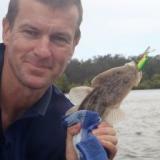 Big thanks to Tham and Royce for getting the bait, we are having Panko crumbed Luderick for dinner.